First and foremost I apologize for the somewhat long sabbatical that I took. As I am sure you can imagine, life gets busy, but that is no excuse. With that said, I am thrilled to be starting up again with one of my favorite holiday recipes. Unfortunately it was one that I couldn't really enjoy until I was 21-years old. As I am sure you already know, from my blonde hair and blue eyes, and my blog's namesake (smak translates to taste or flavor), I am very Swedish. Each Christmas, my family makes glögg, a warmed spiced alcoholic beverage. I can remember going into Chicago for Christmas Eve and smelling the spices and alcohol warming over the stove top. The scent immediately brings me back. A surefire trigger for nostalgia. I can promise you that if you talk to any Swede, or Scandinavian for that matter, they will know exactly what you are talking about when you say the word glögg. A quick note: you will have to make a portion of this recipe 24 hours in advance, keep that in mind. Today is December 20, 2012...that means that Christmas Day is in exactly 5 days. When I look back on this past year, I am first and foremost amazed at how quickly it has gone by. It seems like just yesterday I was packing up my apartment in Manhattan and moving back to Illinois. And now here I am, working at Starbucks again, living with my parents, running marathons, and writing a food blog, among other things... Even though I may not be exactly where I want to be, I know that I have made amazing steps forward. I have learned so much about myself and I am excited to see what 2013 holds! As we move forward into the holiday season, I am so excited to spend time with friends, family, and those that I love. I hope that you all have an amazing holiday season! There will be a few posts in the next few days, and then much more to come in 2013! I am jetting off to the mountains of New Hampshire to spend New Years with my best friend of 20 years. I can promise you that there will be quite a few recipes from my mountain holiday! Combine all ingredients in above mixture and soak for 24 hours. Mix mixture with 1 bottle of red wine (any type is fine, feel free to use CHEAP wine). Add 1 cup of sugar (or to taste) and 1 tablespoon of vanilla extract. Warm - do NOT boil. 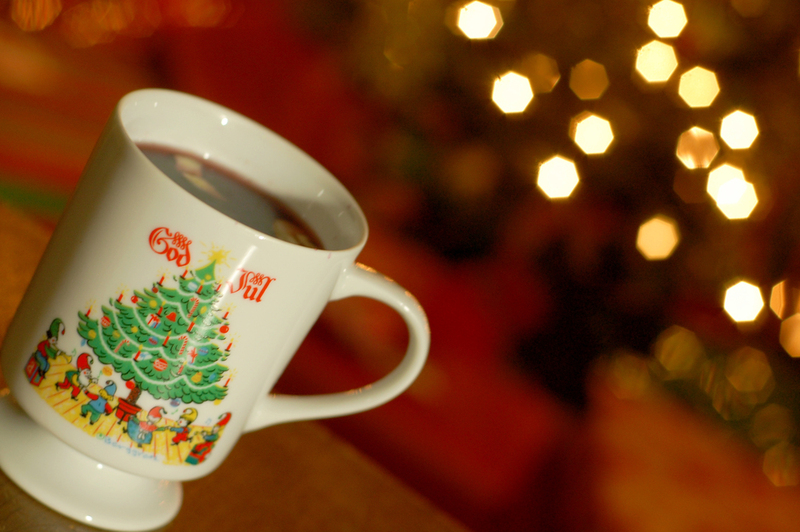 Throw a few raisins and slivered almonds in the cup with the glögg and serve!